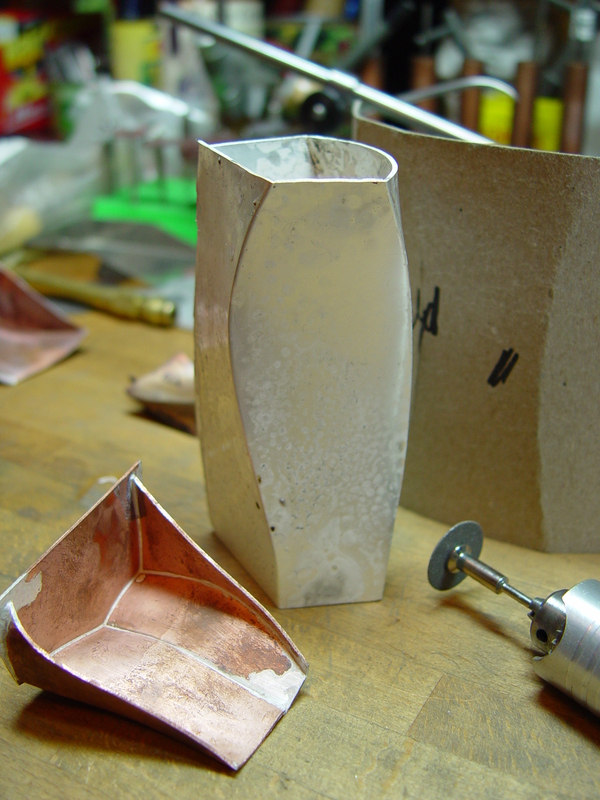 Build boxes for jewelry or larger applications in this 8-session course. Student will learn hollow construction, scoring, bending, forming, and large scale soldering. Each student will construct boxes of various shapes with hinged and tension fit lids. Additional options such as closures, lockets, and die forming will be discussed. Students may work in non-ferrous sheet metal including silver and copper. This class is open to all levels. Basic soldering will be reviewed. Maximum class size 12 students with a Teaching Assistant.